The new Octane elliptical cross trainer Q47xi uses the approved technology of its predecessors and collects points by new features and special improvements. The low step through of the equipment makes it easy to get on even for older persons or persons with limited mobility. 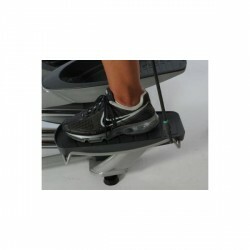 The adjustable stride length lets exercise many users of different height. 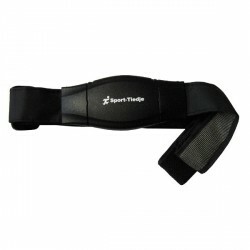 Due to the adjustability, it is made possible to exercise different muscle groups. The SmartStride technology of the Octane elliptical cross trainer Q47xi is able to adapt the stride length automatically to the intensity of the training - or manually by the user. The low Q-factor (space between pedals) of 4.6 cm reduces the movements in pelvic and lumbar region and prevents tensions and false postures. Control the equipment with the SmartLink technology via your Tablet and the new Octane App supports your training. More than 70 programs are available, regular updates increase the variety. Create 30-, 60- or 90 days training plans with SmartLink. Analyse afterwards and check your target values and training progress. The Multi-Grip handlebars offer a multitude of grasping possibilities and minimize the fatigue of shoulder and arm muscles. 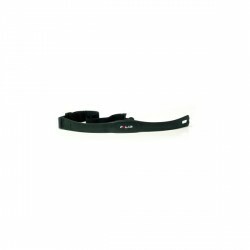 Heart rate is measured by hand pulse sensors or the provided chest strap. Extend the Octane elliptical cross trainer Q47xi optionally with the CrossCircuit Kit. The power bands are attached to the pre-mounted hold points. Via the App or on the DVD, many exercising possibilities are shown to extend the cardio training on the Octane elliptical cross trainer Q47xi by a strength workout. Wilde perse een model met een staplengte instelbaarheid. Dit model heeft de instelling en is ook nog compact. Wat ik vooral heel fijn vind is dat zowel de armleuningen als de pedalen echt heel natuurlijk lopen. Hele fijne beweging. Pas in de winkel kennis gemaakt met dit product. De lage instap is toch echt wel een voordeel. De instelbare paslengte is fijn omdat er meerdere personen op trainen. De monitor is degelijk en simpel te bedienen. 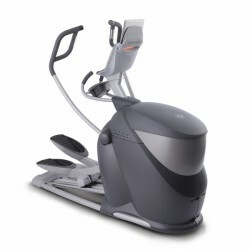 Octane elliptical cross trainer Q47xi add to comparison list.